Tom Dascombe is approaching the Watership Down Stud Greenham Stakes at Newbury with “nervous excitement” as he prepares to saddle Great Scot in the Classic trial. Dascombe said: “Obviously it is really sad for the owners of Too Darn Hot and John Gosden. I hope the horse is okay. We all have problems with horses and I just feel sorry for them. “It obviously increases Great Scot’s chances in the Greenham and means he will be a shorter price. Richard Hannon’s horse Boitron looks quite good but we are not going there without a strong chance. The Dubai Duty Free Stakes, registered as the Fred Darling, has attracted a field of 16 including Dancing Vega, the Aidan O’Brien-trained So Perfect and Dandhu, from the David Elsworth stable. Dancing Vega made a striking debut last year when winning a novice race over 1m at Doncaster by four lengths, her only start to date. Her trainer Ralph Beckett said: “I think that she will benefit from the run. She will like the ground. She has had a pretty good preparation. “She is coming back a furlong. I don’t think that’s a problem. If she is going to get to the 1,000 Guineas she has to run somewhere and this gives her her best chance of recovering for it. Dascombe saddles Iconic Choice, whose five wins last season included victory at Newbury in the Listed Byerley Stud Stakes (registered as the Radley Stakes). 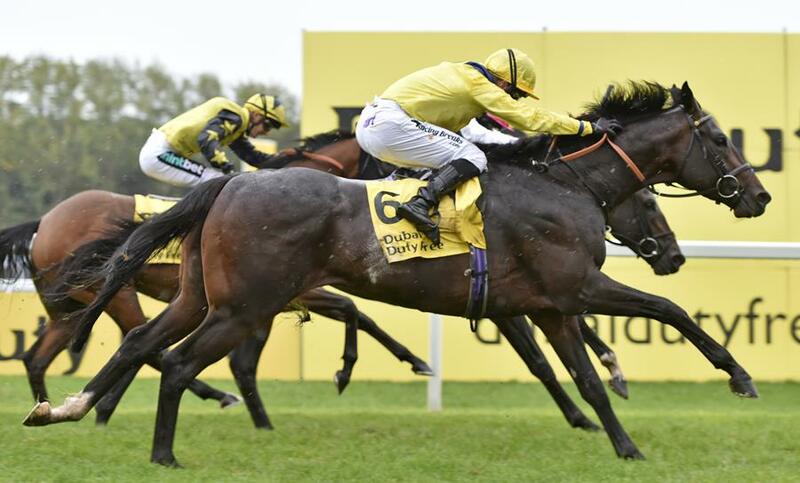 Defoe will bid to become the first horse to win two runnings of the Group 3 Dubai Duty Free Finest Surprise Stakes, registered as the John Porter Stakes, against nine opponents headed by Young Rascal, a three time course winner last year including two at Group 3 level. Dascombe will be represented by Proschema, who contested the St Leger last year. “It looks a strong race but we took the view that he goes on soft ground and runs for the same owners as Great Scot so it made sense to start him off there so we can find out which direction to head in for the rest of the season,” he said.